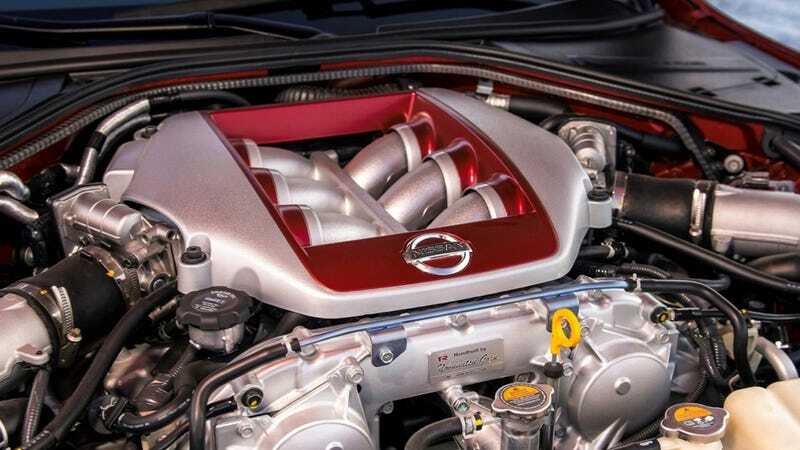 We know that the Nissan GT-R’s twin-turbo V6 engine is hand-built, but what we may not know is who those hands belong to. At this year’s New York Auto Show, Nissan brought three Takumi, or master craftsmen, along with them to build a GT-R engine right on the show floor. We recorded it in real-time as it happened and now, thanks to our fancy new Facebook live feature, you can watch it right here for all eternity. There are only five Takumi in the entire company who are eligible to build a GT-R powerplant from start to finish, and if that isn’t impressive enough, those same five Takumi have built every single GT-R engine in existence. Yes, these jumpsuit-wearing mechanical wizards are complete legends, and as I said in the video, we were humbled to even be in their presence. Since a typical engine build for one Takumi takes 9.3 hours from start to finish, we’re only seeing a little excerpt of the process here. But, it’s enough to understand just how crucial the human element is in building a mechanical beast like the GT-R. In an age of autonomy and mass-production, this is a dying trade that I’m oh-so-happy to see live on.